The results of the HDFC hiring drive are out - and the first set of job offers have gone out for AMCAT candidates. More job offers expected to go out soon. Looking to begin your career with a top Indian bank? Look no further than the AMCAT! We partner with the best private banks in India and help them recruit fresh talent for various profiles. 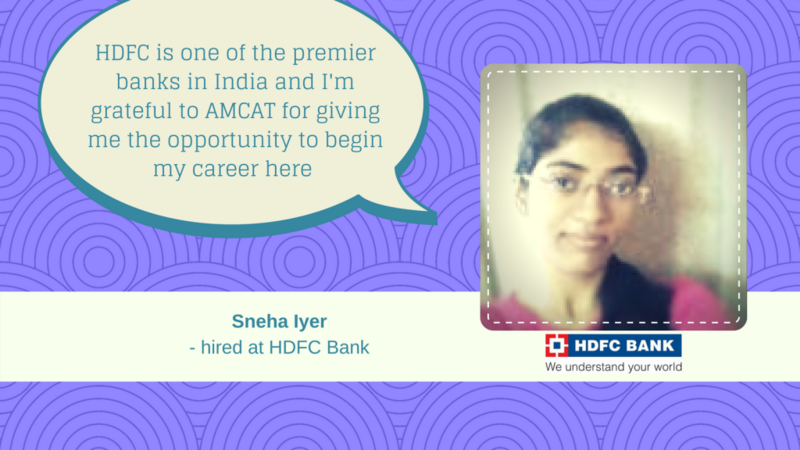 Fresh off the heels of a major hiring drive with HDFC bank, it gives us great pleasure to announce that the results are out – the first set of job offers have been rolled out to selected AMCAT takers. This drive was one among the many which are on the anvil. 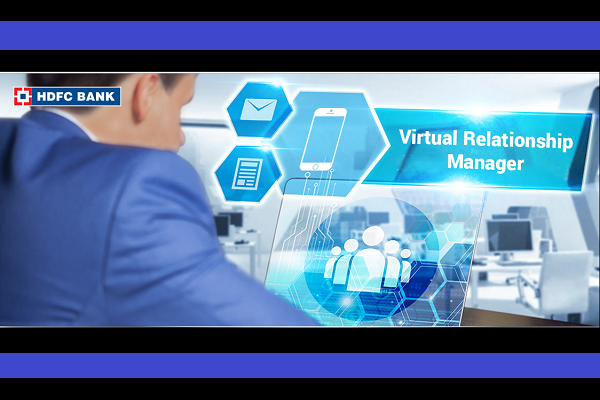 HDFC, one of the premier Indian banks, is actively hiring for the role of virtual relationship manager, across many Indian cities. The bank is looking for graduates keen on starting their career in the banking industry and is open to hiring candidates with 0-2 years of experience in sales and relationship management. In a recently completed hiring drive, HDFC rolled out 13 confirmed offers (for virtual relationship managers in New Delhi and Mumbai). 50 more offers are expected to be rolled out soon for candidates across India. HDFC mentions that they’re looking at hiring more candidates for this particular role and will continue these hiring drives across all major cities in India. If you’re keen on this role, then simply apply on the job post with a valid AMCAT score and if shortlisted, HDFC will call you for a face to face interview. On a corporate level, the association with HDFC bank is a long-standing one. We had recently taken up a joint exercise with the bank to hire 250 candidates in a single day! We helped HDFC assess over 1500 candidates, deliver immediate results, match them to the best-suited open positions and make the job offers. – says Beejal Das, Head Talent Acquisition, and Development Strategy at HDFC Bank. You can read the complete testimonial here. Want more on banking jobs? You can also read about how we’ve helped Axis Bank with their Young Bankers Program here and how ICICI Bank has recruited candidates for various roles through the AMCAT. i want to this job…but i dont have experience..
Hello, i give a test on 08-11-2017 for HDFC bank. I am a fresher. Could you please tell me that in how many days i get the result? Usually, results come in 15 days. Through which they wil confirm our result?? I had given exam 2 weeks back. So please let me know how nd when i can expect result of AMCAT Test (HDFC). I had given AMCAT exam for HDFC. When i can expect result. Please let me know. I want to give Amcat test for hdfc IT sector. Which sections of aptitute should I prepare? It is dependant on your course. You would be giving the three compulsory modules and chosen subject modules. 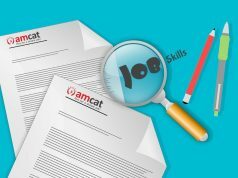 How can I check amcat result. You can log in to your amcat account to check your results. How can i check my HDFCBank result which is taken by AMCAT Aspiring minds? our support team will get in touch with you regarding the same. How can i check my HDFCBank result which is taken by AMCAT?? Can I give amcat exam through my laptop? 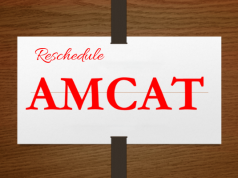 You will have to schedule your amcat through myamcat home page. A center will be allocated to you along with time and date. You will have to appear for the exam there itself. i have given amcat exam of hdfc bank on 24th sept but i have not got my result yet. its been more than a week..could you please help me out? candidates who take company specific exam need to wait for a response from the company itself. AMCAT is only a service provider for the set of questions. Post that, it’s all between the candidate and the company. So, would suggest you to hold on for a while longer, or connect directly with the company contact. Is there any preparation needed to sit for AMCAT given by HDFC Bank? If Yes, on which subjects should be the focus? Any examination require appropriate preparation. So, even for this exam, you should do your preparations well. The subject you must be focusing more on would depend on the profile you are applying for. Since it’s a banking job, you must focus on accounts for sure.